Castle Comfort Stairlifts offers top brand stairlifts, keen prices and fast installs for all those seeking stairlifts in Bath, Someret. And all work comes with our no-quibble guarantees and famous customer service satisfaction. Hello all you Bathonians. Yes we’re visiting your city today; Bath was given city status by Elizabeth I in a Royal Charter. Bath is the home of the Bath Chair which was invented by James Heath in Bath in the 18th century to ferry those less mobile around. It usually has three wheels and is pulled or pushed by hand! 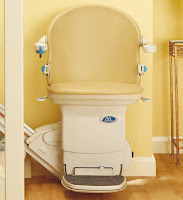 Castle Comfort Stair Lifts can’t offer you a Bath Chair but can offer all types of stairlift if you need help getting around – or more accurately up and down – your home. As the national agent for all stairlift manufacturers, we can advise on the one most suitable for you. Just call our local office for more information on 01179 059 177 . 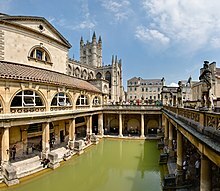 Bath is less than 100 miles west of London and just 13 miles south east of Bristol in Avon with a population of 83,992. This beautiful city became established as a spa town in Roman times though it is thought to have existed prior to this. Bath was built around hot springs. It gained fame as a spa town in Georgian times which led to expansion as people wanted to visit to ‘take the waters’. It was left a heritage of Georgian architecture built from Bath Stone, a type of limestone quarried at nearby Coombe Down. The City of Bath is a World Heritage Site (since 1987) which means it is a place of special cultural significance. With a number of theatres, museums and other cultural venues, Bath has a big tourist pull – more than 1 million visitors who stay in the city and about 3.8 million visitors come for the day every year. Pulteney Bridge a three-arch bridge over the River Avon based on the unused plan for the Rialto Bridge in Venice. As well as Bath Chairs, Bath is also the home of Bath Buns, Bath Olivers and Sally Lunn buns. That’s a lot of foods associated with one city. The Bath Bun is made from a rich, sweet yeast dough which was originally shaped around a lump of sugar. Now you are much more likely to find currants, sultanas or mixed peel inside and topped with crushed sugar nibs. Sally Lunn buns are said to be made to a French recipe which arrived in Bath in the 17th century. They are made from a yeast dough often flavoured with lemon. They are still produced commercially in Bath and are served split in two and spread with butter or whipped or clotted cream before being sandwiched together again. Bath Oliver biscuits are savoury crackers often eaten with cheese. They were invented by Dr William Oliver of Bath in the 18th century and are made from flour, butter, yeast and milk. Oliver left the recipe to his coachman with bags of flour and £100. The coachman Atkins set up his biscuit baking business from which he made a lot of money. Whilst we can’t promise you the ‘recipe’ to build your own stairlift, we can help you choose the best one for you from curved, straight, perch for those who have difficulty sitting down including reconditioned versions. 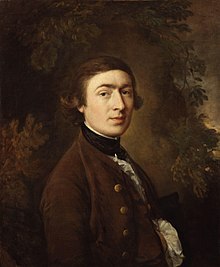 We always like to introduce you to celebrities past and present who have connections to the city we are visiting. Bath is no exception and has several easily recognisable personalities. Living near Bath, Anthony Head an English actor who you might know from a series of Nescafe ads or as Rupert Gales in Buffy the Vampire Slayer. Another actor, Andrew Lincoln spent his teens in Bath. You might recognise Andrew for his part as ‘Egg’ in This Life, in Teachers or the film Love Actually. Popular comedian Russell Howard comes from Bath. Charles Dickens wrote about Bath in The Pickwick Papers including a chase between two of his characters in the Royal Crescent, Dowler and Winkle. Jane Austen lived in Bath for a short time before moving to Clifton in Bristol but loved the city so much it featured in two of her novels: Northanger Abbey and Persuasion. Well our brief tour of Bath is over. But if you are still considering purchasing a stairlift then please let us help. Take a look at the comparisons of stairlifts on Castle Comfort Stair Lift’s website and then talk to us so we can help you with any further information you need. You can also take a look at how to apply for a grant if this seems like a good option for you or if you need a stairlift more quickly, then take a look at our 0% finance option. Why not watch our founder Keith’s short video at the top of the page and then you know what to do! Give us a call on 01179 059 177 .